Qoitech (a Sony Group company) and the Hardware Academy announce workshop based on helping you to prolong the battery life in IoT devices, which will take place in London. Qoitech, a newly started Sony Group company, aims to change the way Internet of Things companies are optimising the current consumption of their battery driven products by using the new Otii solution. The workshop scheduled to take place on 30th November, includes Qoitech and Hardware Academy holding a 3 hour jam packed session on optimising IoT products for longer battery life. By joining this workshop hardware developers will learn the importance of characterising and optimising the power proﬁles of IoT products for longer battery life and will discover that there are simple yet eﬀective ways of doing that throughout the whole R&D process. Otii is a developer tool for energy optimisation of IoT devices and apps, created by developers for developers. The team behind Otii has twenty years of experience from Sony Mobile Communications in developing energy optimised devices for the global telecom market. The tool is easy to use, requires minimal setup, and lets developers measure and analyse energy usage at any stage of development. 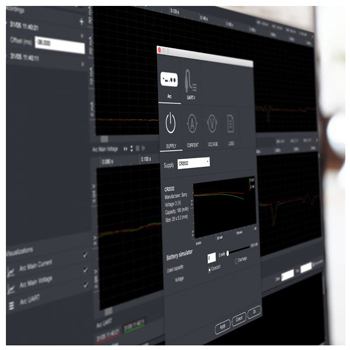 The Otii solution comprises a compact and portable measuring unit, Otii Arc, and an easy to use, but comprehensive desktop app for Windows, MacOS and Ubuntu. Hardware Academy is a training platform launched in 2015 with the aim to connect IoT technology and service providers (semiconductor companies, cloud companies, electronic components distributors) with engineers, technical teams, and developers who work for large and small enterprises. When participating in the Hardware Academy workshops attendees have the privilege of getting hands on with some of the industry's leading technology, whilst receiving the best technical support directly from the companies developing the technology. Co-founder and CEO David Bellisario emphasised: “Hardware Academy ﬁlls that gap giving technical people the chance to get hands on with the latest IoT technologies that can speed up their product development workﬂow, whilst receiving the best technical support directly from the companies who create the technology”. “As Qoitech, we are very excited to bring developers from startup community and established businesses closer with the new energy optimisation solution that we provide. It is a pleasure to start oﬀ with such an initiative, in collaboration with the Hardware Academy,” said Werner Johansson, Tech Lead at Qoitech and an instructor at the upcoming workshop. The link to the workshop can be found here.